Vintage Series are made of 100% carbon fiber. The carbon fiber has a characteristic of highly hardness so it doesn’t need to be strengthened by forming as thick shell, and thinner shell causes more internal air to resonate. Due to the high-strength and the high-conductivity, the sound of Vintage series is full of potential to fit any tone. General speaking, traditional wooden drums are heavy. In order to have a light wooden drum, decreasing thickness of shell and the weight is always what we concerned. Unfortunately, thin wooden layers cannot create sound quality as good as strength in drum shell. Voice verse, to have a good quality sound, the wooden layers need to be packed and heavy. Using carbon fiber and other composite materials solves the problem of weight and the sound quality; it’s a win-win choice. The advantage of carbon fiber is not only light weight, but the density is 20 times higher than traditional wooden drum shells. 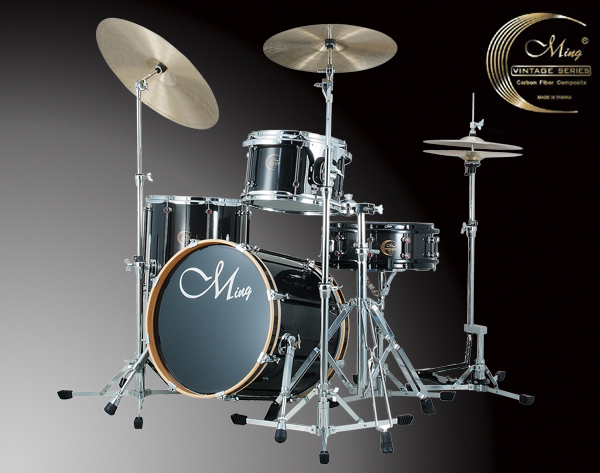 The shell thickness of 1.6~1.8 mm for the carbon fiber drum set has a strong body structure and powerful sound quality. 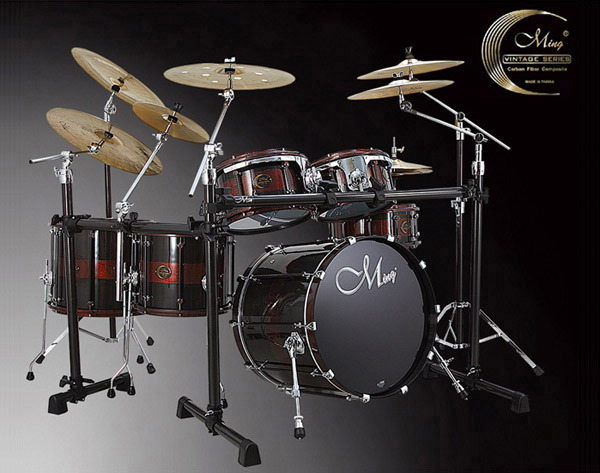 Unlike wooden drum sets, carbon fiber drum doesn’t cause hydrous in the body layers and the parts and accessories are not easily to be rusty because of the hydrous problems caused by humidity. Winding and woven weave textures make the looks of carbon fiber vintage drum sets streamline and modern.